'It's time to hold physical cash,' says one of Britain's most senior fund managers. It may be time to put money under the mattress. High profile fund managers explain how to prepare for a 'systemic event'. Bank of China Ltd. will become the first Chinese bank to join the auction process that sets gold prices in the London market. The bank, along with seven other lenders, will start participating in the twice-daily electronic auction, according to a statement from the London Bullion Market Association on Tuesday. While China is the world’s largest bullion buyer, it has never directly played a role in determining London gold prices. The addition of a Chinese bank is another sign that China is increasing its influence in gold and currency markets worldwide as the country seeks to make the yuan a viable competitor to the dollar. The Bank of China’s part in the gold auction shows the nation is stepping into the global market, the lender wrote in a press release today. Goldman Sachs Group Inc., Societe Generale SA, Bank of Nova Scotia, HSBC Holdings Plc and Barclays Plc are among the lenders that currently participate in the auction. Bank of China will join on June 22, Intercontinental Exchange Inc. said in an e-mail. 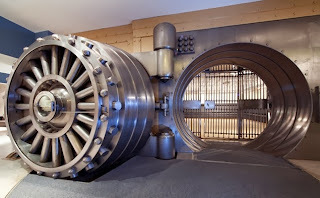 Texas Governor Greg Abbott signed a bill into law on Friday, June 12, that will allow Texas to build a gold and silver bullion depository. In addition, Texas will repatriate $1 billion worth of bullion from the Federal Reserve in New York to the new facility once completed. Former FED Chairman, Paul Volker agrees that government pensions are a "ponzi scheme." The name of the game has not changed as one statement from Boston Fed President Eric Rosengren stating the conditions for tightening rate policy have not been met drove gold over 1200 in a matter of minutes. Meanwhile the Euro/Dollar didn’t seem to move. At 10 AM the ISM Manufacturing PMI was released slightly higher than expected and is bullish for the US dollar and hence it put a damper on the rally. Platinum still remains below the gold price by $80, a surprise considering the forecast is for 160,000 ounce deficit according the World Platinum Investment Council quarterly report. It is possible that platinum miners are hedging putting pressure on the market price? No other explanation seems to make sense since demand is forecast to grow in 2015 by 3% t0 8,155,000- ounces. Even with global supply increasing above ground stocks will continue to need to supply the market.